The Portland Historic Resources Inventory of 1976 list calls it ‘house and store’. This may explain the granite running the full width of the building at the first floor lintel line. The inventory also lists the style as Greek Revival. I would be inclined to call it transitional in that the period is right for Greek, the actual details harken way back to the Federal style. The bay and bracketed entry overhang were added well after the home was built. Ownership changed several times in the next 30 odd years. In July of 1881, the City of Portland sold the property to Samuel Rolfe for an unpaid tax bill of $70.00. 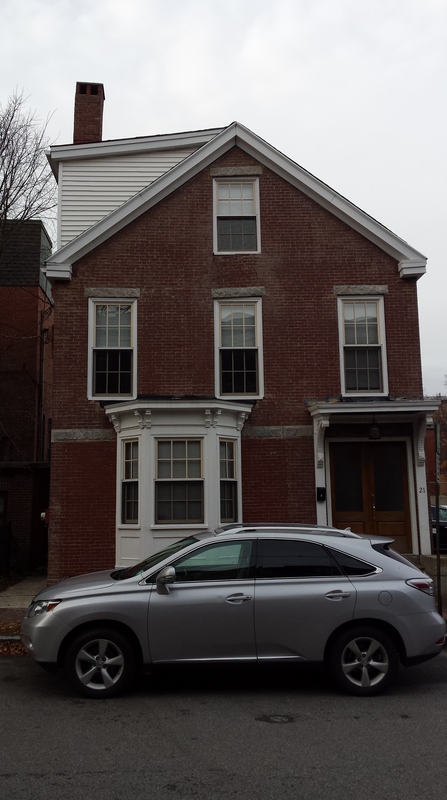 Beckett lists Samuel as a wholesale druggist living at 92 State Street in 1877. In the late 1880’s & early 1890’s Rolfe transferred a large amount of properties, our subject included, to the Maine Savings Bank. The deeds, there are many, do not speak of mortgages or the like so it’s hard to tell exactly why this was done. Rolfe was the president of the bank in 1890. He died in 1899. With the transfer, the deed trail goes cold until 1924 when Elias Thomas is listed as owning the home. 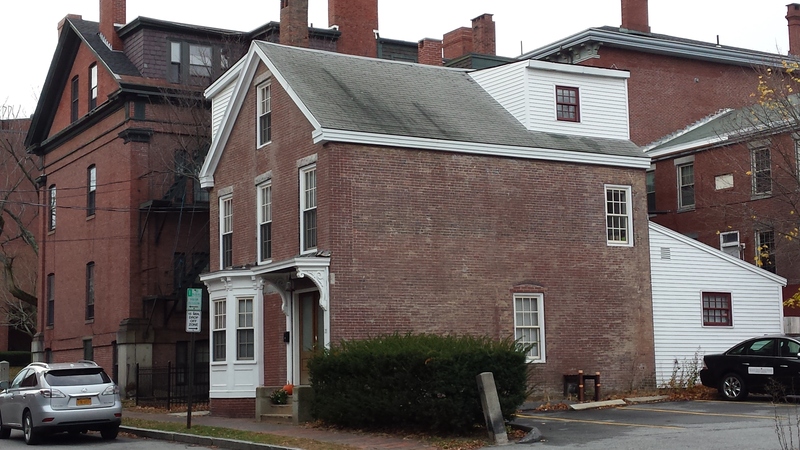 Thomas, you may recall, owned the house at the corner of Gray & Winter Streets. Current tax photo is below. I am not certain of its date but it sure is different from today. The current owner is an LLC that is somehow connected to 75 State Street. 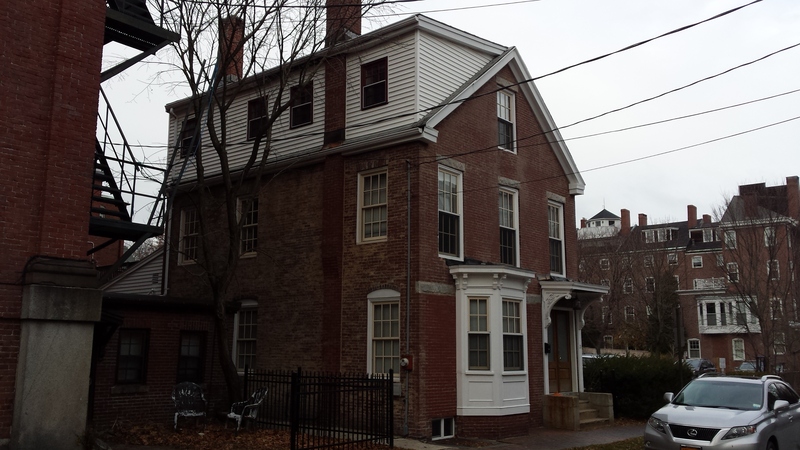 This entry was posted in Architecture, Brick, Gray Street, Greek Revival, History, Images and tagged Architecture, Brick, Greek Revival, images, Maine, Portland on December 1, 2016 by alewifecove.